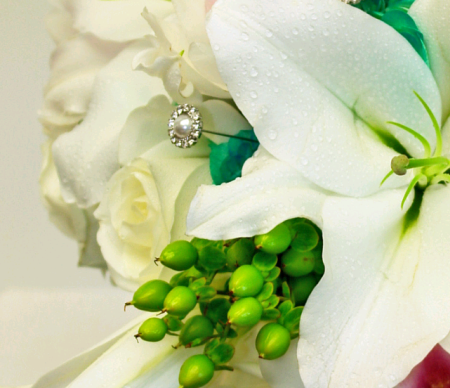 Wedding flowers add a superior quality and beauty to the whole atmosphere of a marriage ceremony. But it’s a big deal to choose the right wedding flowers as they rank right up there with picking the venue, menu and the perfect dress. However, selecting the perfect blooms for your wedding will not add to the stress anymore if you follow the leading florists guide given here. Since the theme and color of the wedding will define the decor, it is essential to decide the theme of your big day before you choose the flowers. After that, choose the bridesmaids dresses for your wedding. Enhance them by choosing flowers from one of the leading flower shops. If you’re not sure yet about your budget, it’s always good to have at least a rough figure to start with. Decide on what your budget range will be on from the outset and let your florist make appropriate suggestions. So, research a little, make a budget and then look for a well-established, reputable florist to ask advice in selecting unique flowers that fit your wedding theme within your budget. They have special consultants on staff to help with all of your choices. They will be able to get creative with your budget. They also make lots of suggestions to help that budget make the most impact. When you plan your wedding, choose strong flowers which express the particular season. If you’re unfamiliar with seasonal flowers, enquire about it to your florist. The reason behind this is, naturally, seasonal flowers are much easier to get hold of as well as cost-effective. This means you will get the most bountiful blooms, more for your money, and gorgeous flowers that will look and feel in the true spirit of the season. Planning your big day? And having trouble picking your flowers from the thousands of varieties available? A good wedding florist who also offers flower delivery will help you pick out the perfect combo of flowers for your wedding decoration based on some general information about your ceremony and reception!